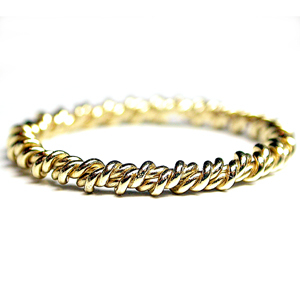 18K yellow gold unique hand-made braid band. This beautiful solid gold band will comlement and enhance the beauty of any band. It is 2mm all around.